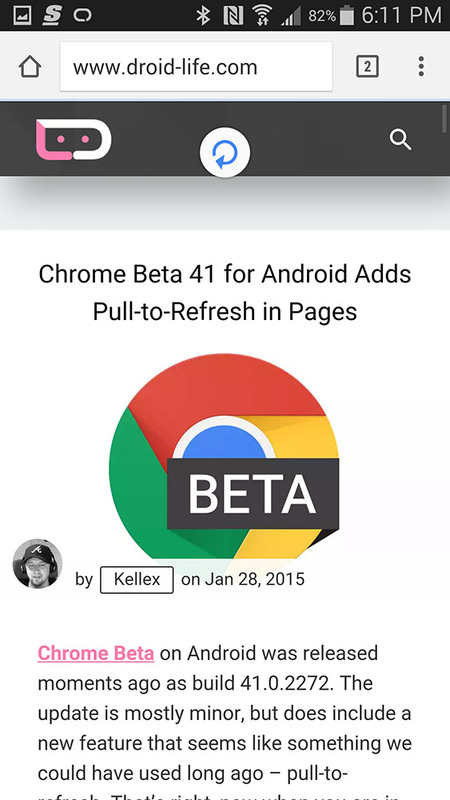 Chrome Beta on Android was released moments ago as build 41.0.2272. The update is mostly minor, but does include a new feature that seems like something we could have used long ago – pull-to-refresh at the “top of most pages.” That’s right, now when you are in a web page and want it to reload, you don’t have to go hunting for a refresh button. All you need to do now is pull from the top of the display downwards and you will refresh the page.